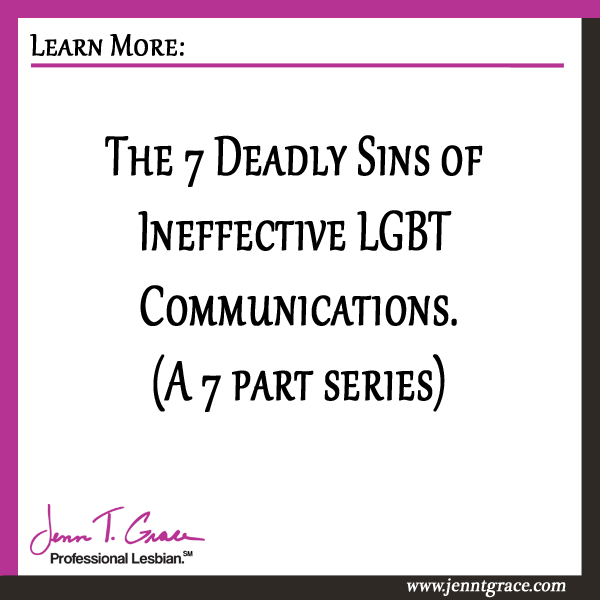 This series is what I call the 7 Deadly Sins of Ineffective LGBT Communications. 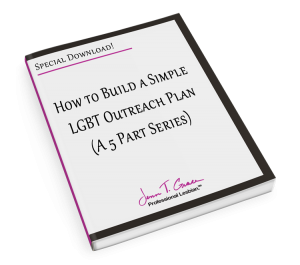 During the time I have been writing this blog and during my many years in the field of LGBT marketing, I have noticed a pattern, 7 of them to be exact, that make up what I predict to be 98% of the miscommunication blunders that I see happen. In this series I address each one of these areas and provide examples of how I have witnessed real people finding themselves in uneasy situations because of falling victim to one of these ‘deadly sins.’ At the end of the day most of us don’t wake up in the morning and set out upon the day thinking, “Whom can I offend today and how can I do it?” Right? I know offending someone is never on my to-do list. But guess what? 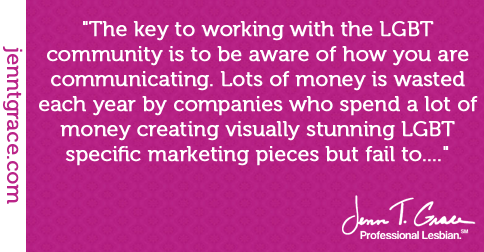 It happens to all of us and to some of us on a fairly consistent basis. 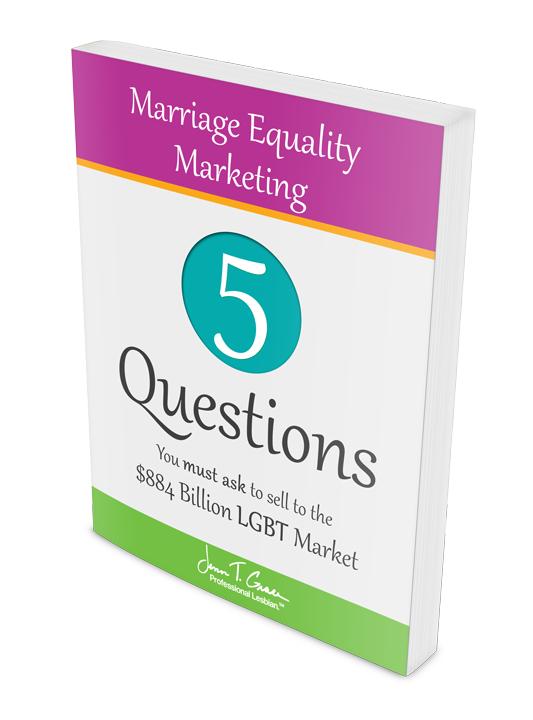 Imagine the marketing budget a large hotel chain has and imagine they are really active in LGBT marketing.  Now visualize the shiny print advertisements and clever commercials they’ve produced that have brought new LGBT customers into their front doors. In that very moment, with assumptions, actions and unnecessary commentary by one single untrained employee you have lost a customer for life. Sure they may not say anything while finishing the check-in to avoid a confrontation, but you can bet a letter will be going to Corporate about how that experience made them feel and how it did not live up to what was promised in their advertising and marketing. You may be reading that thinking “Would someone really do that?” Yes they would, yes they have and yes they will. 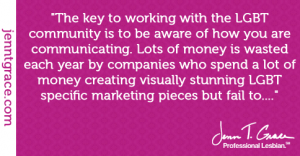 I have dozens of examples from travel clients who have stories like this – ranging from large corporate environments to small bed and breakfasts. 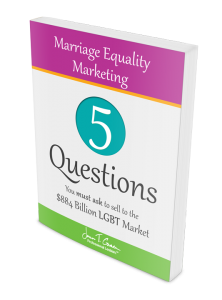 Fact of the matter is an untrained employee is a liability and detrimental to your LGBT marketing efforts if not trained properly. 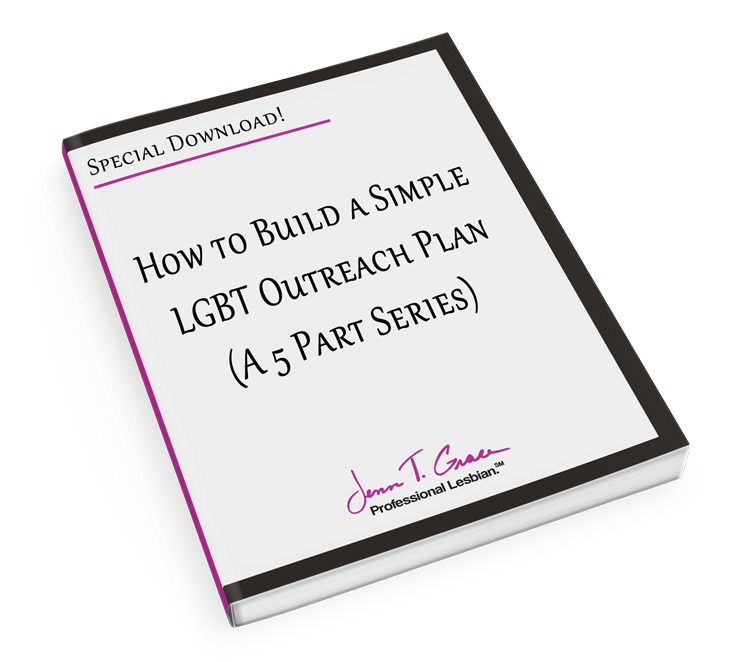 So I encourage you check out this series as we dive into each of these in more detail. 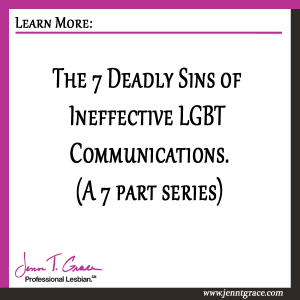 You’ll learn how to combat the 7 Deadly Sins of Ineffective Communications in your business. Don’t want to have to remember to come back and check them all out? Sign up for my mailing list and have the articles sent direct to your inbox.